Strength and Conditioning classes is a group workout accommodating 12 persons at the Gym. Exercise prescription in these classes is VERY intense, classes are 1 hour and 15 minutes and cost $20 per person as a "drop in" price. Exercises will include (but are not limited to) squats, lunges, dead lifts, clean and jerks, pulls, pushes, burpees, sprints. Barbells are extensively used along with a variety of conditioning tools which include (but are not limited to) Ropes, Sleds, Rowers, Ski Erg's. Strength and Conditioning classes aim to improve body composition, power, muscular endurance, anaerobic capacity, aerobic output and muscular strength. 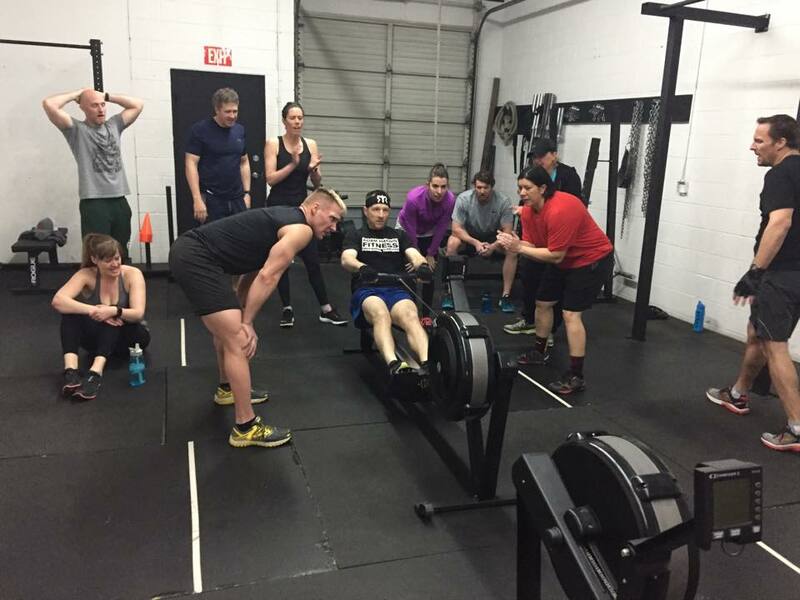 Attendance at a Strength and Conditioning classes require a minimum standard of fitness. Gloves and a head lamp should be worn/brought when attending early morning or evening classes due to some exercises being performed outside. Please see the Scheduling page for weekly Strength and Conditioning class availability. You MUST email Adam Harris Fitness to reserve your space in these classes and complete a Waiver and Policy document before attending. Please email Adam Harris Fitness if you have further questions.